Hello friends! I have heard SO many stories in the past few years about experiences in hair salons that left y’all feeling poisoned. These stories, and my curiosity and interest in the general cleaning up of our environment has led me to reach out and connect with folks in the salon business and hair industry who are committed to being truly more conscious of the chemicals/waste/impact of the work that we do behind the chair. It is frustrating to me to see the general ‘greenwashing’ that has been used as a consumer trick to sell a product with the illusion of eco-consciousness. Perhaps it is a drop in the bucket, but what is needed these days is more like a tidal wave. We need to be backing up our ‘green products’ with actual practices are moving us towards a more earth/animal/all beings friendly way of living. 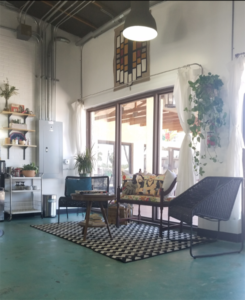 That being said, I’m pleased to introduce you to the women of Organic Hair Lab, Phoenix AZ’s first clean air, zero waste, Vegan salon. They were awesome and let me ask some questions, on which they collabed the answers. Thank you to Sarah Whitesell, Marion Dodd, Autumn Marklay and Alicia Nittle for sharing words. Organic Hair Lab was cultivated from the mutual passion of our craft, the revelation of the impact our industry has on the environment, and the concept of empowerment through education. After years of collaboration, the ideas we shared became the foundation for our Salon. We celebrate each individual while striving to be as earth conscious as possible. What inspired you originally to open an Eco Salon? What does it mean to you to be eco-friendly? 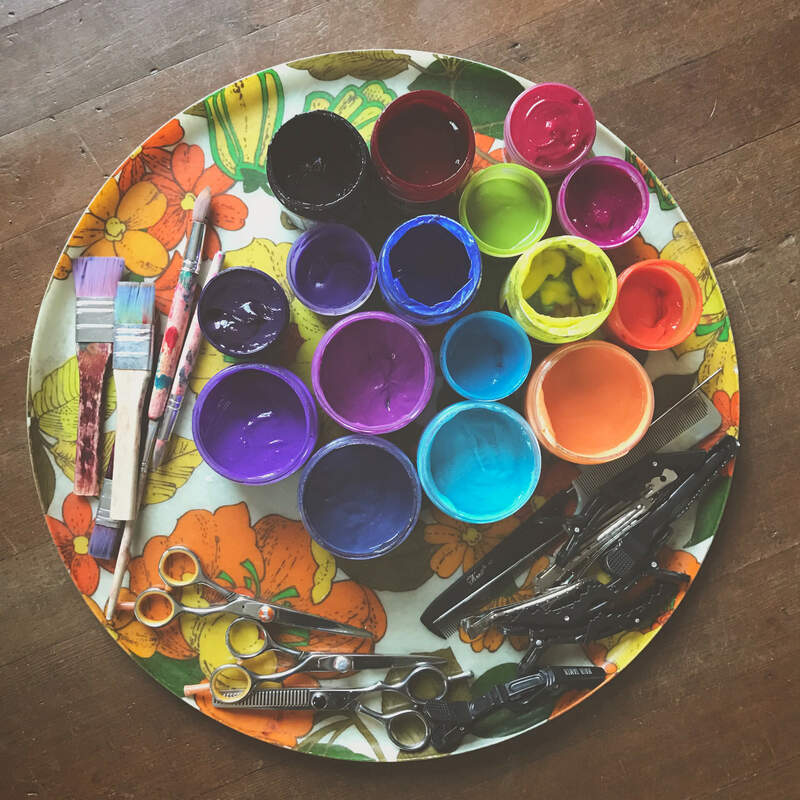 At Organic Hair Lab, being eco friendly encompasses many meanings; we are a “Clean-Air” environment, not using and paints or sealers that give off VOCs into the atmosphere, as Well as not using any artificial fragrance, and becoming aware of what we consider non- reusable waste and how it impacts our environment. We also utilized alot of used furniture and decor in our space instead if sending it to the dump. 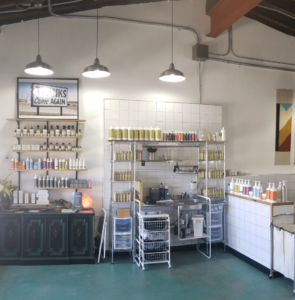 Because of our efforts and specific partnerships with business that share our concerns, Organic Hair Lab has become the first zero- waste salon in the state of Arizona. 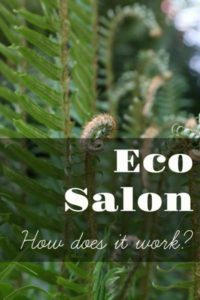 What specifically makes an eco-salon? What practices are you adopting//leaving behind? Becoming an “eco-salon” can mean many things to many people. We feel that you don’t need to adopt the same exact practices that we have… any salon trying to make any sort of eco-friendly change within their work environment; being aware of water or electric usage, recycling back-bar plastics, eliminating paper receipts, etc, can be considered a turn in the right eco-friendly direction. We have also eliminated the use of printable receipts, bottled purified water, plastics caps and non-recyclable color and product containers. 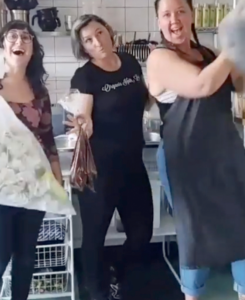 How is the course of your day/week/life effected by running a salon in this way? The only difference in our overall daily/ weekly workflow has been the need to sepefate our trash and put it into proper trash bins and the need to ship our recyclables to Green Circle Salons on an as-needed basis. Other than that, our daily operation hasn’t changed at all. What would you tell a person who is interested in opening their own? Approaching this process can be overwhelming, confusing, and time consuming. But once all systems are in place it becomes second nature and totally worth it! Organic Hair Lab is a great resource to use when you have questions, were available for consulting and can be reached directly at OrganicHairLab@gmail.com. Tell me some specifics as far as how you see an Eco Salon positively impacting your stylists, clients, and community? As stylist we are guaranted longevity in our careers by choosing not to breath in or come in contact with harsh chemicals. It has also given us an abundant clientele of individuals seeking out a space that cares about not only the health of their hair, but of their bodies and environment. It has impacted our clients by offering them hair services in an environment that accommodates their allergies & sensitivities. It also has inspired clients to take their own journeys in recycling and composting. We are currently working within our business plaza to get all the businesses composting, recycling, and reducing as much landfil waste as possible. The next step on my agenda is to work with the City to create a zero waste arts district where our salon is located and to make recycling more available to businesses city wide. Has anything unexpected come up in the process of opening/running an eco-salon? The only unexpected Thing I can think of is finding out that the City Of Phoenix does not offer recycling services to businesses. Which is why I m working to change this. Do you have any stories or ‘aha’ moments that really re-inforced// affirmed your eco-salon path? Who doesn’t love it when women collaborate to bring more consciousness and positivity to the hair world?!!! Thanks for being here! Follow Organic Hair Lab on IG to keep up on these rad women and to learn more and get inspired!